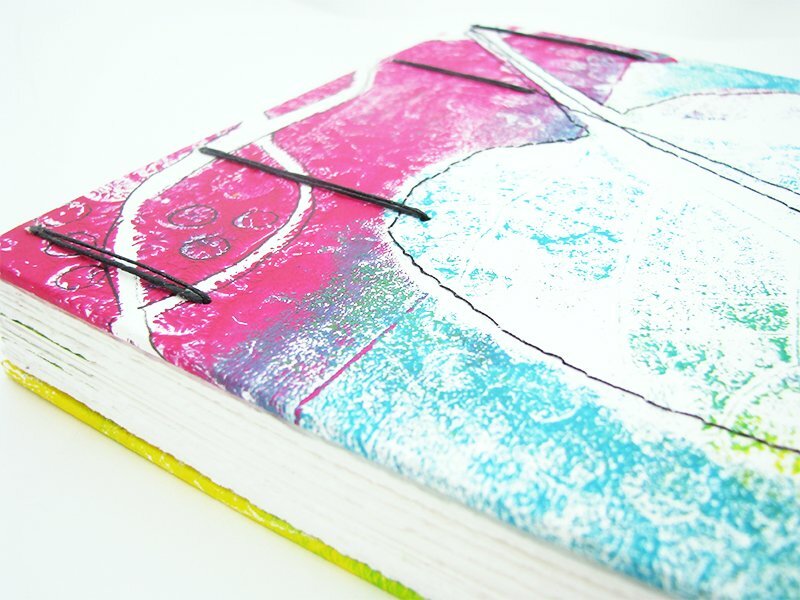 I returned to my stack of gelli prints to make today’s book – a coptic bound sketch book. This is book 10 in my 50 Book Project. 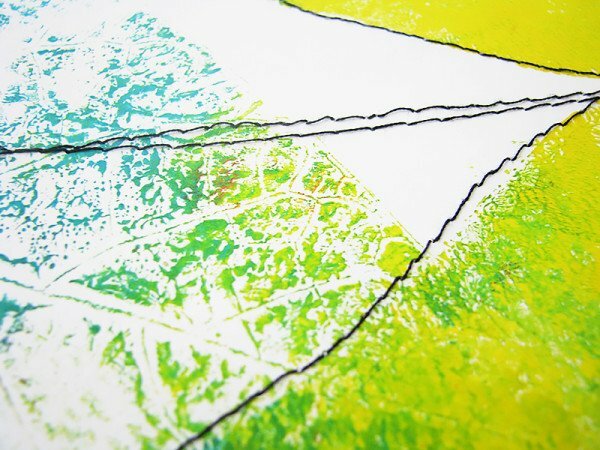 We had a huge ugly weed growing in our front yard last summer but it had the most amazing leaves that were perfect for making gelli print – they were large and sturdy with very pronounced veins. But I had a ongoing battle with my hubbie who tried to kept trying to cut it down. Needless to say art won the day and we let it die naturally in the Fall. 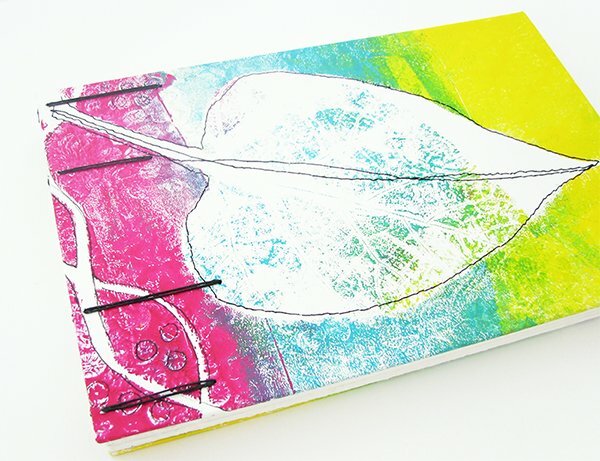 I used the leaves to make dozens of prints and two of them are on this week’s book. 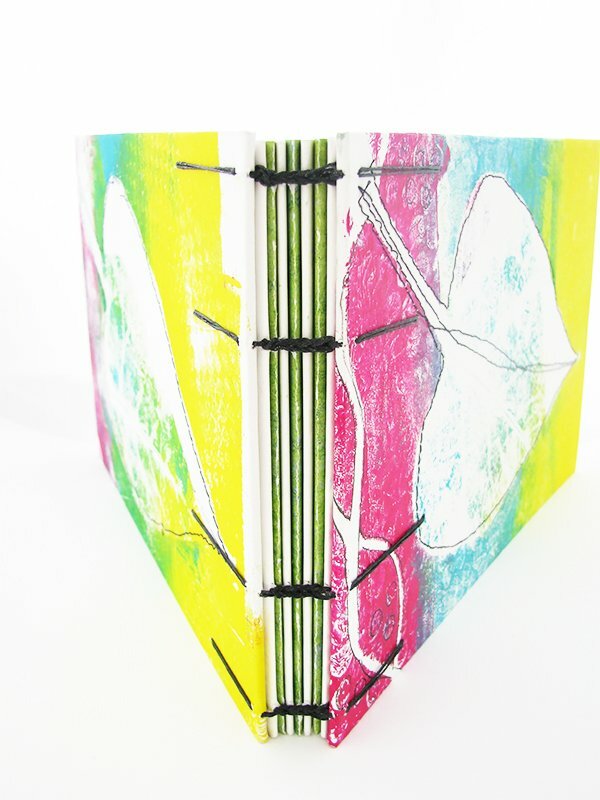 The prints were glued onto book board covers and bound using a 3 hole coptic stitch. Inside are 64 pages of Mohawk Superfine paper. 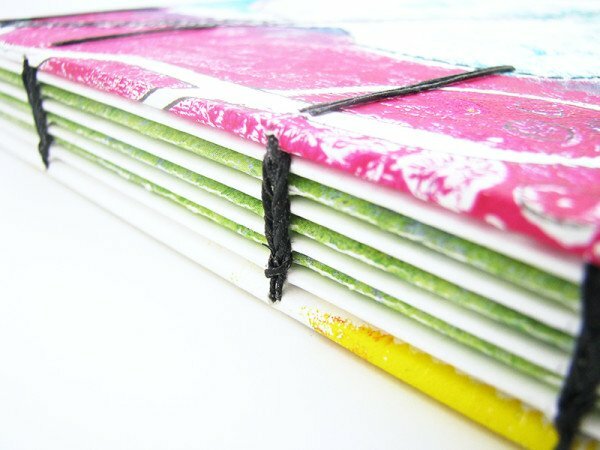 I wrapped a 2″ strip of green paper around every other signature for some interest on the spine. 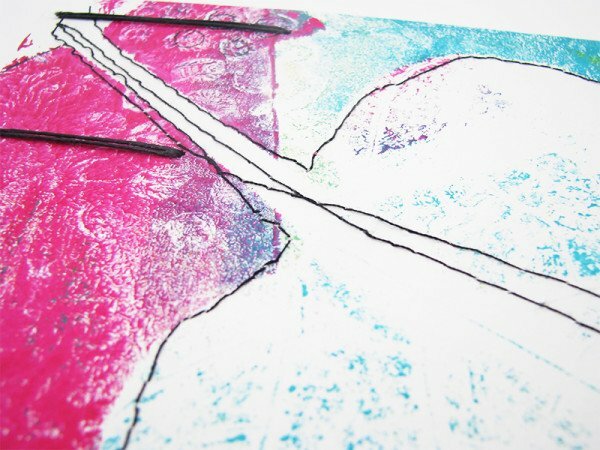 The gelli prints were made on 98lb mixed media paper with acrylic paint, leaves and other found objects. Once dry I added some machine stitching and doodling. 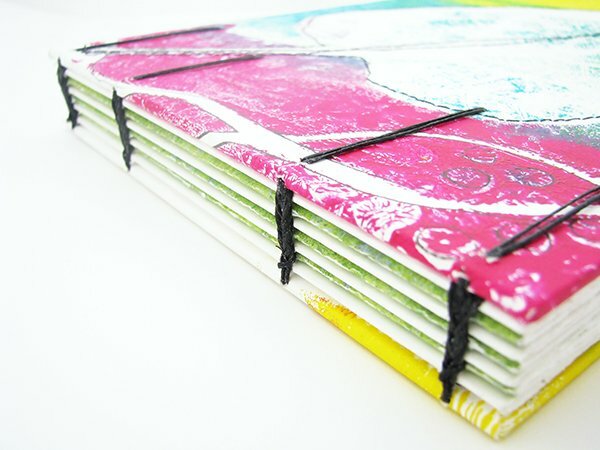 If you live in Massachusetts or Southern New Hampshire, I’ll be teaching a coptic sketchbook class next month. Check out my Classes page for more details. To receive updates about the 50 Book Project, please sign up for my weekly newsletter.